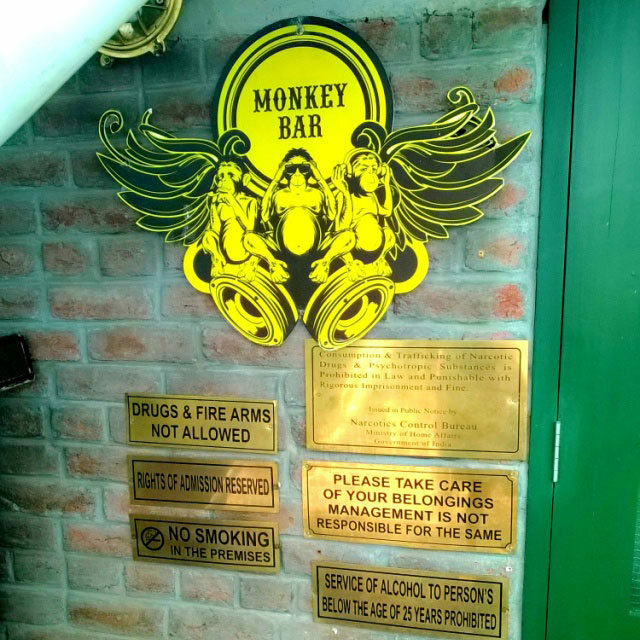 Quite a quirky name at that, but be assured that there are no any monkies, none hovering anywhere around while you hang out at this cool new Bar in Delhi. 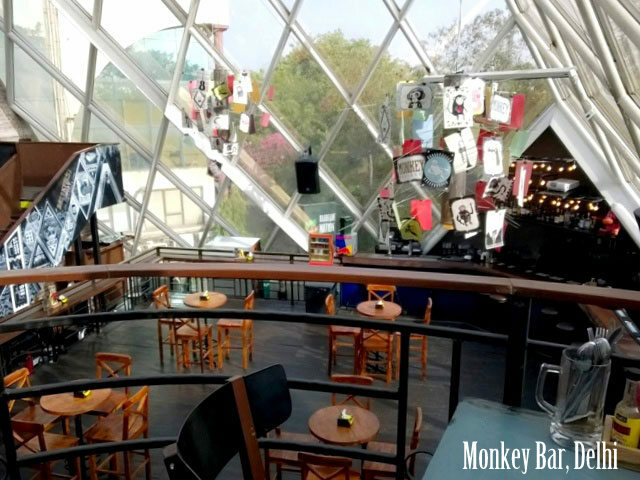 Having earned its fame among the Bangalore’s party circuit, the Monkey Bar arrived early this year to excite the hedonist circuit of the capital city. Unlike any other posh club, the Monkey bar breaks quite a few grounds. 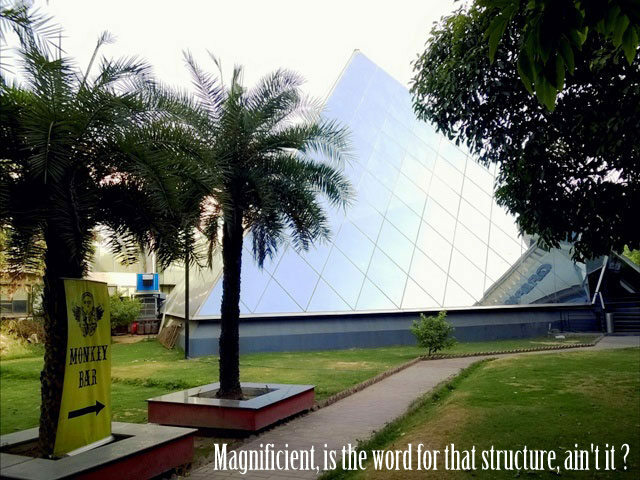 To begin with they’ve not put up shop inside a fancy mall but built their own all –glass pyramid structure that is quite imposing and impressive on its own. We hopped (not unless you already feel like a monkey) inside this ludicrous gastro-pub into a spacious, warm interiors with everything exuding a quirky, boho-chic vibe. Even on a hot summer afternoon on a Lazy Tuesday the place was not deserted, there were a couple of tables already taken by young college-goers and a few taking their strike at the pool tables scattered at one end. 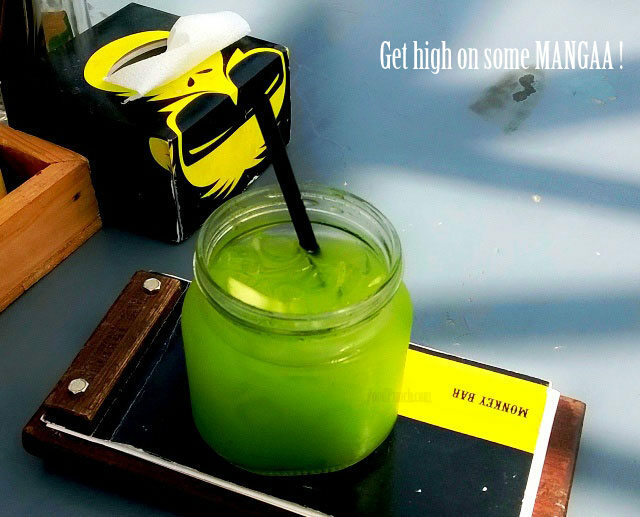 The pool table, fuseball and an exciting menu with quirky concoctions, the rules are all set for a great hang out place. It was quite average I can say. We were welcomed with a wide smile indeed, but towards the end our waiter perhaps was too tired to listen. Not that we are a bothering set of guests, but we did struggle to get their attention as and when required. The services were good otherwise, no spill over to say the least. We placed our self on the upper deck, overlooking the bar and felt excited as we scanned the menu. The immediate order of the much recommended cocktail ‘’Maanga’ that arrived with a quirky coater that gave us quite an insight into the trade of boozing or getting tipsy. The drink was good, refreshing, and tangy just what we needed on a summer afternoon. There are quite a few intriguing names on the cocktail menu, all sounding quite exciting and a must try when we are back for a hangover weekend night. To start off the meal we choose to go with a serve of Liver on toast and a Keema Bao, we did not have to wait for too long in anticipation as the scrumptious looking food arrived in no time. But then what came as a shock was none off the two dishes could strike a note. Appalled as we were, we had already stepped into the low point of our lunch that we had put high hopes on, after many high recommendations. 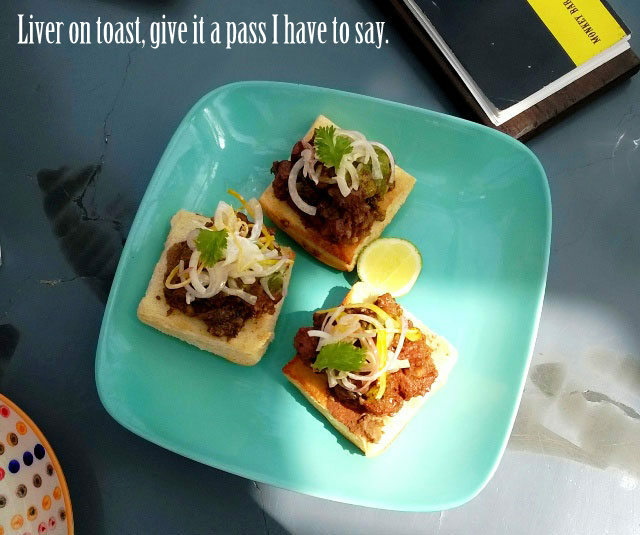 The liver on toast had nothing to impress, the liver was too simple and basic, just a drizzle of green chutney and a plain pao bun with no striking flavours. And then when we cut open the bao, we lost all hopes, it was nothing close to being a bao leave besides the filling being dry, the bao was, not bao at all simple. No, this can’t be we thought in unison, we have heard so much about the place, or are we just making all the wrong choice. Well, but here is what my friend said and I quite agree, “If you’ve got it on your menu, you better be good at it”. So had lost all hopes by then and were almost ready to leave but then we called up the foodie friend who had praised the place so much, and he said No, you are ordering wrong, try the burgers. 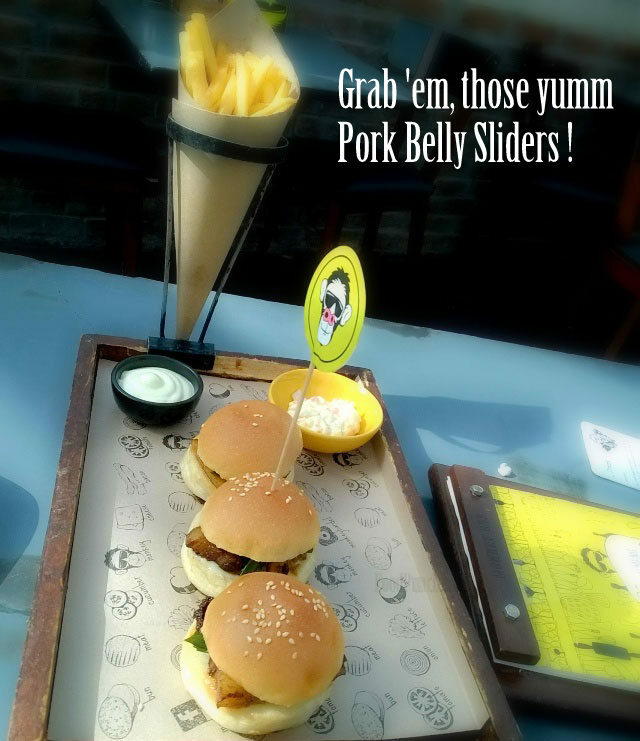 So we did, placed an order of a pork belly slider, and boy the sliders simply changed the game altogether. The mini burgers that arrived with loads of fries and chips, were simply delicious. Good quality pork, cooked to a juicy perfection stuffed into fresh burger buns was superb. The burger was a saviour, almost changed the impression and restored the idea of visiting back for a club night. But for the day, we’d have our lows and highs and were too bowled over to dare order more, so leaving music to a Club night visit we called for the check, which again was quite reasonable giving us another good reason to re-visit. 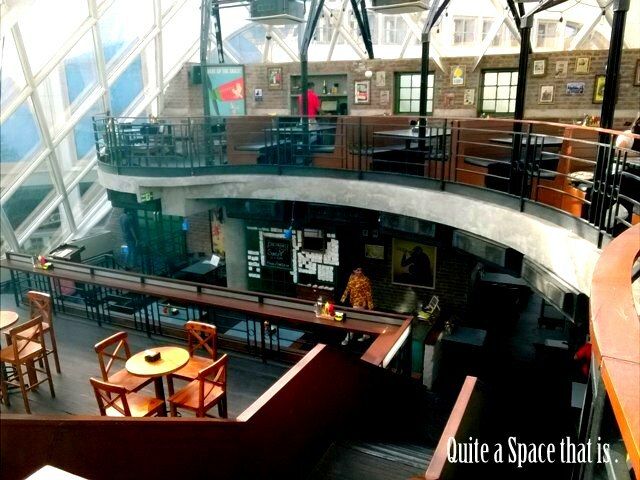 A good party place, great ambiance, quite a destination to hangout with friends on weekend and cure it with booze. The music is good, so is the bar and food, if we do not get swayed by the names and order cautiously, could be good too. The prices are quite convincing and we didn’t feel the pinch when at the end it arrived to a total of Rs.1871 all inclusive (for the three dishes and two cocktails). 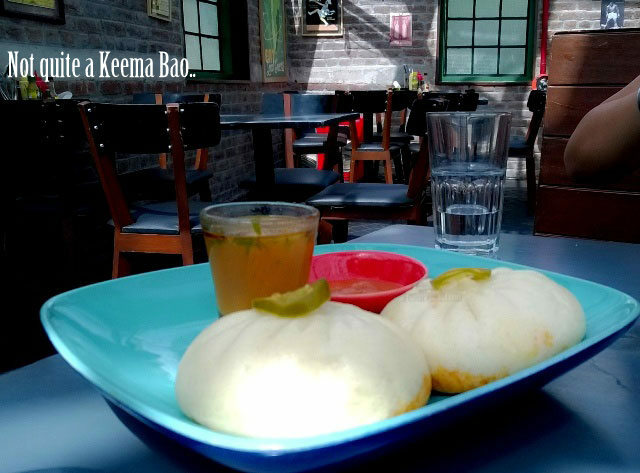 Monkey Bar, Delhi - the funky gastro-pud in Vasant kunj is under scanner. A great party place, but with its own highs and lows, read on for a full review with pics. excellent review – keep up the good work !!! Hey Thanks a lot Rahul.. really glad that you could make time to comment.. Have you been to Monkey Bay ?? Would love to hear about your experience ..